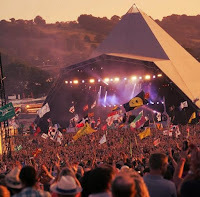 Going to a music festival is a memory which will last forever, and this year I am fortunate enough to get to go to V Festival with a few of my friends! There are so many music festivals now, whether you've already been to Glastonbury or planning for Leeds and Reading Festival. It's always best to be prepared for the weekend ahead of you. With me going this year to V-fest, we have already began planning what we need and how we will survive the weekend. A few of you may be like 'why do you need this, you go to concerts and gigs'. Well this is a little different, it's not just a night at a concert- it is a 4-day festival and I want to make sure all you (including myself) are prepared for it. 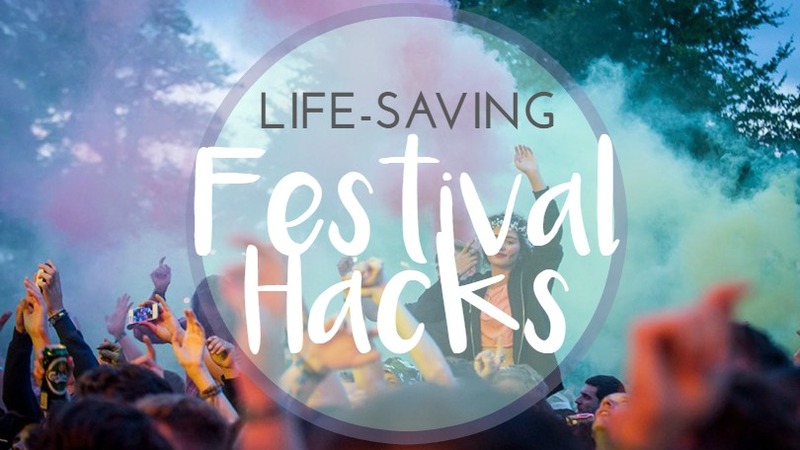 So here are 10 life-saving festival hacks, you need to know, that will maximize your festival experience this year. 1. 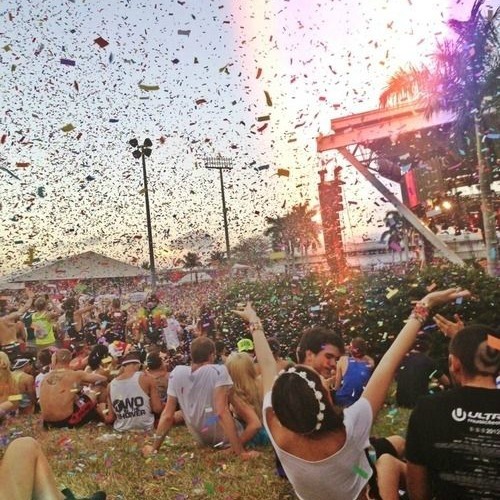 At a festival there is always so many bands and artists you want to see and it is near impossible to see everyone that you're dying to see live. So make some hard choices about which bands to see. Yes, you are going to have to make some difficult decisions over the course of the weekend. To make things easier, talk things over with your group about which bands everyone wants to see before you go. 2. Just prepare for any type of weather. Yeah, we know that the forecast said clear skies, but it's Britain and it always rains. So be prepared for torrential downpours and muddy fields. Be sure to bring a pair of shoes you don't mind destroying, a poncho to protect the festival outfit you spent weeks picking out, and a light jacket for the chilly nights. 3. Make you're tent stand out with a helium balloon or a colourful flag. By attaching a balloon or flag to your tent will make it easier to find your tent at the end of the night. It may sound stupid now, but I can imagine at the end of the night when you’re drunk trying to find your tent amongst 10,000 tents will mission impossible. But by adding something memorable it'll surly make it easy. Just look for the balloon or flag. Genius, right? 4. Portable chargers are essential! How do you expect to Snapchat the Sunday headliners without any battery? You can't. I've bought a portable charger from eBay and it charges your phone up to four times without needing to be charged itself. Also if you're not using your phone as you have no service, by putting it into Airplane mode can drastically improve your battery life. Tip: your phone charges quicker when you have Airplane mode enabled. 5. Bring snacks, lots of snacks. No matter what you're going to need food to get you through each day at a music festival. The long lines for food can cause you to miss your next set, which we don't want to happen, and it can be over-priced. But if you bring plenty of snacks like bananas, crisps, cereal bars, etc., you'll be ready to party all day along. 6. The placement of your tent Is everything. DO not camp downhill or on a slant; if the weather goes south over the course of the weekend, the last thing you want to deal with is being woken up by a flash flood destroying all of your belongings. As well stay away from pathways to avoid having drunk people trample and stagger through your camp. Also, camp away from the stage! Though it seems more convenient to camp closer to the music, when you do eventually try to catch some sleep, the last thing you want to hear rowdy crowds. 7. Wanitng to get to nearer to the front? Navigating your way through the crazy crowds like a pro. I can imagine it to be overwhelming when stuck in crowds of people as it can definitely be intimidating. A polite "excuse me" usually works and refraining from getting pushy while keeping patient will win you fans as you scope out a perfect spot. If all else fails, pretend like you're about to throw up and the crowds will be sure to move quickly. 8. Its often easy to get split up from you're friends esepcially in large crowns, therefore set up meeting spots for your group. 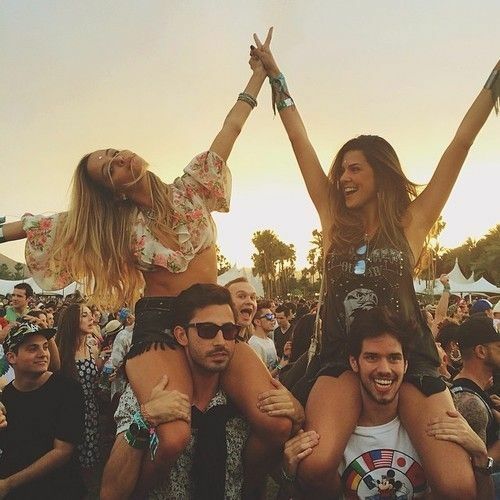 There's nothing worse than losing your group of friends during the festival. However, it can be easily avoided by choosing a designated meet-up spots and times before you guys head into the festival. That way, you won't have to boogie to the headliner by yourself. 9. Protecting your money and phone. Take what you money you will need, but beware of spending cash on crap - do you really need to buy that sombrero? Wouldn’t food be a better purchase? And don’t keep all your money in the same place, just in case you lose your purse/bumbag. As an emergency, stash a couple of notes underneath your phone case. Tip: Put your phone, money and other valuables inside a seal-able plastic bag! A life-saver if the festival you’re at turns into a rainstorm on day one. 10. THIS ONE SIMPLE RULE: HAVE FUN AND ENJOY, JUST PARTY AND DANCE ALL DAY AND ALL NIGHT!! 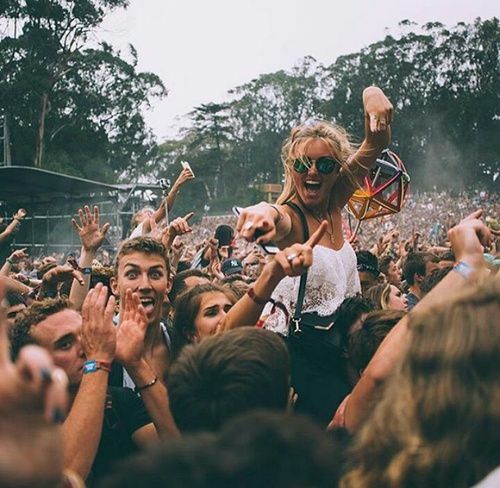 So, I hope these hacks are useful if you're going to a music festival this summer as they've really helped me plan my weekend as well as essentials I will need. 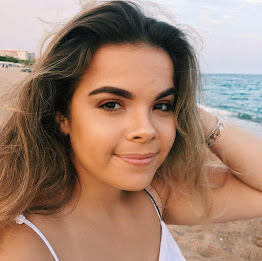 If you want to see more festival related posts or even videos on my channel, comment below and I may do a a 'festival look-book' or something like that. **Disclaimer- all these images have been taken from Pinterest, I own no rights to these so I apologise in advance if they are your images.